Danny Green has dismissed the suggestions of a United States boxing promoter and manager that he does not want a rematch against Antonio Tarver. Green announced last week that he would engage in talks with Tarver to seek a rematch in the US before the end of the year after he was stopped for the first time in his career when the American handed out a nine-round beating in Sydney in July. Last week, Tarver suggested a rematch was more likely to take place in Perth. 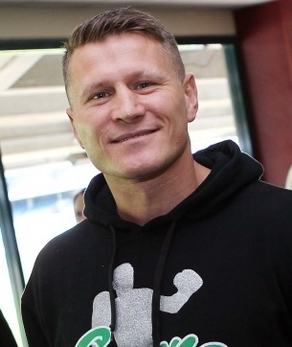 But Gary Shaw, who has links with Tarver, told a Sydney newspaper that the rematch clause stipulated a second fight must be held at the same Sydney venue and that Green’s push for a bout in the US was a smokescreen to disguise his reluctance to fight. But Green has hit back, claiming Green Machine Boxing would determine where the rematch took place. Green had been close to sealing a fight with Tarver in 2007 before talks broke down, and he anticipated several more rounds of tough negotiating before a new fight date and location could be set.